As effects of the Wu Xiubo scandal unfolds, the actor seems to be paying a hefty price for his complicated personal life. 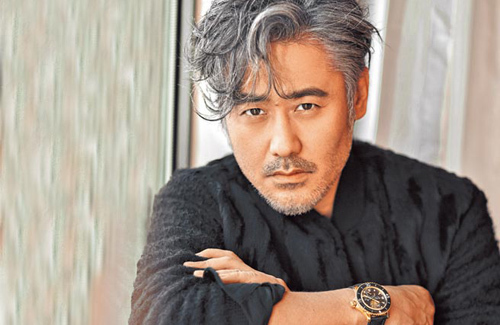 Mainland Chinese star Wu Xiubo’s (吳秀波) image has gone south ever since news of his extramarital affairs broke in September 2018, in addition to recent news of the 50 year-old actor charging his mistress of seven years Ruby Chen (陳昱霖) with extortion. Many dramas and programs involving Xiubo have since been edited to erase the actor’s appearances, re-filmed with other celebrities to replace him or removed from their scheduled slots. Originally one of the four guest stars on the pre-recorded variety program Trump Card <王牌對王牌>by Zhejiang Television, Xiubo’s presence has been totally edited out. 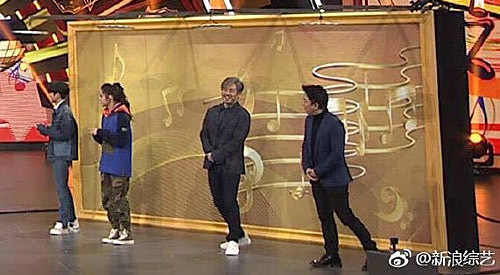 Netizens took to comparing photos from the onsite show recording to the episode which was aired and realized that Xiubo, who was standing next to Huang Bo originally, has been removed entirely after post-production edits. Individual scenes of the actor in the program have been totally cut out and replacement scenes have been edited in seamlessly, while long shots of Wu Xiubo and Huang Bo have also been replaced by close-up shots of the latter. Although netizens pointed out pixels as a telltale sign of editing work, as well as scenes where blurred shoulders or feet appearing next to co-star Huang Bo could be spotted, they believed the editor has done his best and expressed their sympathy towards him, giving him a thumbs-up for his ‘remarkable’ editing skills. When the scandal first broke, Xiubo’s career was not too affected. However, related negative press continued to spiral since a month ago, implicating the actor further. The release of A Boyfriend for My Girlfriend <情聖2>, a festive film headlined by Xiubo along with actress Bai Baihe (白百何), originally scheduled for the first day of Lunar New Year, has been postponed at the eleventh hour. Originally assigned to host Beijing TV Station’s Spring Festival Gala, Xiubo was also replaced by another emcee. Trump Card is not the first to undergo intense post-editing work. Another production which famously underwent elaborate Photoshop editing was Fan Bingbing‘s (范冰冰) The Empress of China <武則天>. Since the drama was set in the Tang Dynasty, actresses had appeared with cleavage-baring costumes. Many viewers took to making complaints to the National Radio and Television Administration (NRTA), causing the show to be taken off air halfway. The series resumed airing later but with sensitive scenes cut away, focusing on the cast’s heads since their upper body was censored. To ensure the best visual effects for viewers, TVB re-edited the series and specially appointed professionals to remove traces of the actresses’ cleavage-baring scenes by adding extra cloth to their costumes in an elaborate post-production process. The challenging work was said to have involved much manpower and cost up to millions. BEFORE: Wu Xiubo was standing third from the left. AFTER: Wu Xiubo mysteriously disappeared in final aired program, replaced by an empty space.